Walter heads up our chef team. He has been with us for 9 years. He keeps the food production ticking along nicely and ensures customers always get what they want. He has a “no running out of menu items” policy and he’s a whizz at making sure he achieves his goal. When not slaving over a hot stove to bring you your famous chicken or veg curry, this father of two is an avid golfer having won a couple of competitions in the last year at Port Edward and he is a regular player at San Lameer and Wild Coast. 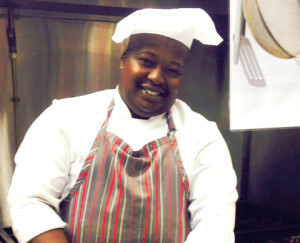 Well done Walter, hope to see you in the Ilanga competition this year!